If you eat something contaminated with a bacteria, virus or toxin and experience nausea, vomiting or diarrhea you may have food poisoning. During pregnancy, food poisoning can be confused with morning sickness or another illness. If the symptoms present suddenly, you feel different from your usual morning sickness or you think that you ate something that had gone bad, you probably have a foodborne illness. If you are unsure or continue to have symptoms don’t hesitate to contact your doctor to rule out a virus or infection. Food poisoning is usually not harmful to your baby. You’ll definitely feel very sick and not be able to treat it with just any medication, but usually your baby will be okay. On the other hand, if left untreated some bacteria found in uncooked or contaminated food such as Listeria can be harmful for the baby. Listeria is a bacterium sometimes present in uncooked foods such as deli meats or unpasteurized cheeses. 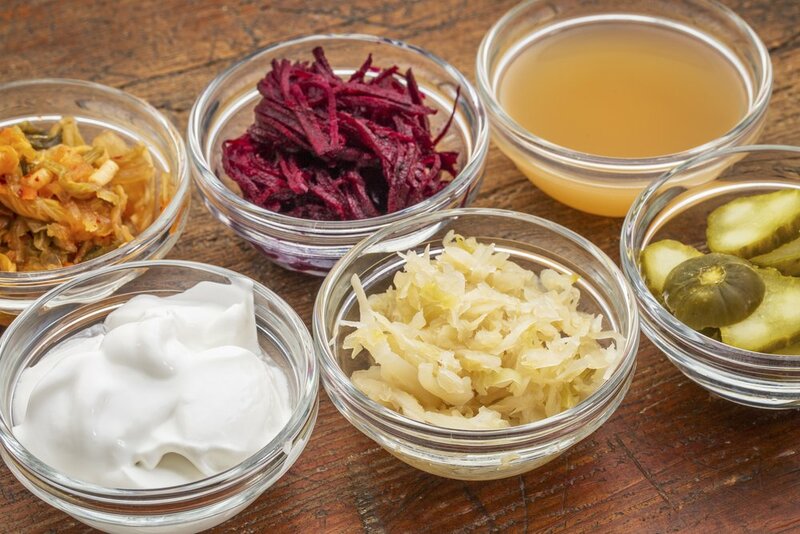 This bacterium can pose serious health risks for your developing baby, but it is very rare to contract it because uncooked or unpasteurized foods are not recommended during pregnancy. Becoming dehydrated is the most common effect and the biggest risk of food poisoning. If you become sick, be sure to sip lots of water throughout the day. Start with a single sip and when you can tolerate liquids increase your consumption. You could even dilute a sports drink with water to replenish electrolytes, but skip on excess sugar. Be sure to rest too, proper hydration and adequate rest can do wonders for healing the body. Be sure to contact your doctor too. 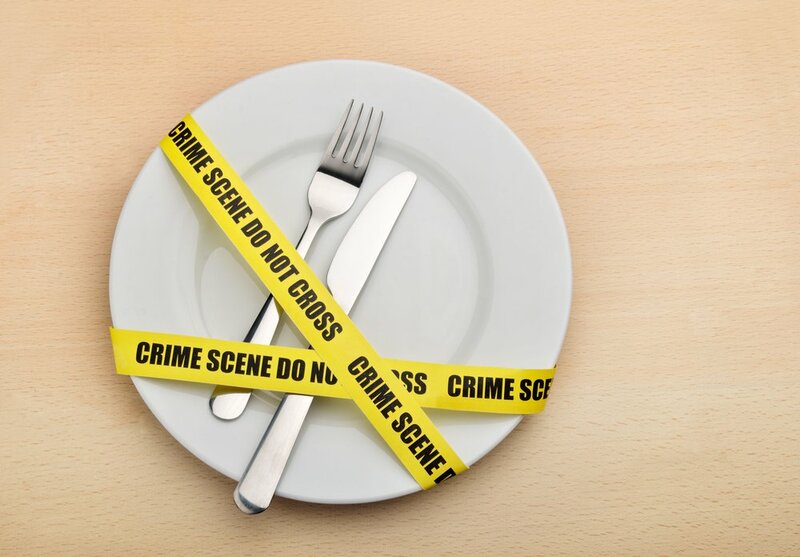 Food borne illnesses can be dangerous and your doctor will give you the adequate instructions to recover quickly. Also, if you feel you are becoming dehydrated or the vomiting and diarrhea does not stop, your doctor might recommend coming in for an IV to replenish fluids. Are you vegan or vegetarian and expecting a baby? If you are, there is no need to abandon your diet. You can still maintain a healthy pregnancy without consuming animal products, all you need to do is make sure you are consuming all the nutrients your baby needs. Many of the nutrients your baby needs to develop properly can easily be found in meats or animal based products but not to worry, there are still other plant-based sources and supplements that will provide you with these. For starters, you need to make sure that you receive an adequate amount of protein, iron, vitamin D, calcium and vitamin B12 when you follow a vegan or vegetarian diet. Below we’ll break down each nutrient and provide plant based sources for each. Protein: The building blocks of the body are in charge of developing the tissue and cells of your baby. Protein is crucial and its consumption increases 25 grams per day per baby. So, if you are having twins that is 50 extra grams of protein than the recommended amount when not pregnant. The following plant sources are rich in protein, make sure you consume an adequate amount. Calcium: Necessary for building your baby’s bones, nerves, muscles and heart. This mineral is so crucial that if you do not consume enough to fulfill your baby’s needs, your body will excrete it from your bones. This can put women at risk of osteoporosis in the future, especially after multiple pregnancies, so be sure to eat a healthy dose of the following and take a calcium supplement if your doctor recommends you do so. Vitamin D: A very important vitamin whose role is to build and maintain bones and teeth healthy. Luckily this vitamin can be synthetized by the body when exposed to direct sunlight for 15 minutes each day. Nevertheless, skin color, lifestyle and climate not always allow one to get the adequate dose. Milk and fish are the best dietary sources for vitamin D. If you do not consume these products, it’s important to talk with your doctor and get a prescription for a supplement. Also try to consume fortified wheat products such as bread and cereal along with fortified soy milk or fortified orange juice. In conclusion, being pregnant is compatible with a vegan or vegetarian lifestyle as long as you get the necessary supplements, you eat a balanced diet, take your prenatal vitamins every day and attend your regular checkups. There is no better time to improve your lifestyle and eating habits than during pregnancy. This beautiful stage in your life helps you create a beautiful little person. Inside you there is a tiny being completely dependent on you to provide the adequate nutrients. If you feed your body the right way you can help this growing miracle develop adequately. Your womb is your baby’s first environment and to make it a safe first home, you must provide all the nutrients needed to help him thrive. The world we live in can make it hard to make smart choices. With our busy lifestyles and attractive and heavily marketed pre-packaged food items it’s hard to maintain a healthy diet, but it doesn’t have to be that way. 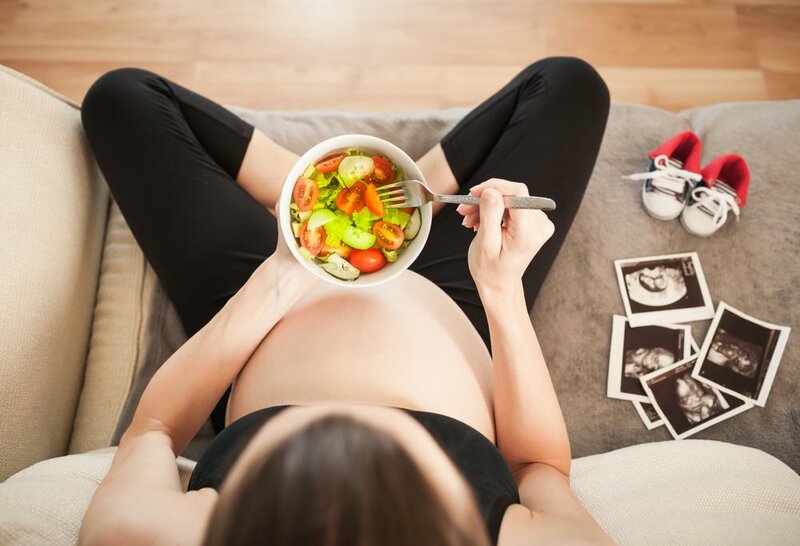 With a bit of planning and preparation you can eat a balanced, delicious and nutritious diet that will nourish you and your baby all through pregnancy and afterwards. It’s true, you are what you eat and because for 40 weeks your baby eats what you eat he is also what YOU eat! Having a healthy diet has the power to provide adequate brain development, birth weight, internal system and organ development, long term health and even healthy eating habits for your future baby. 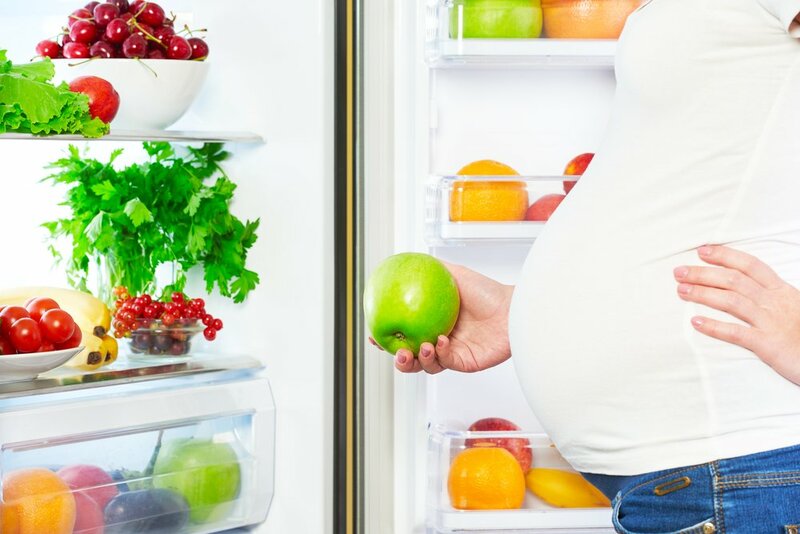 Eating a balanced diet is not only beneficial for your baby, it can also diminish some pesky side effects of pregnancy such as fatigue, bloating, constipation, heartburn and nausea. It can also reduce risk complications and even make labor and delivery easier. Don’t worry if your diet was not perfect before pregnancy. 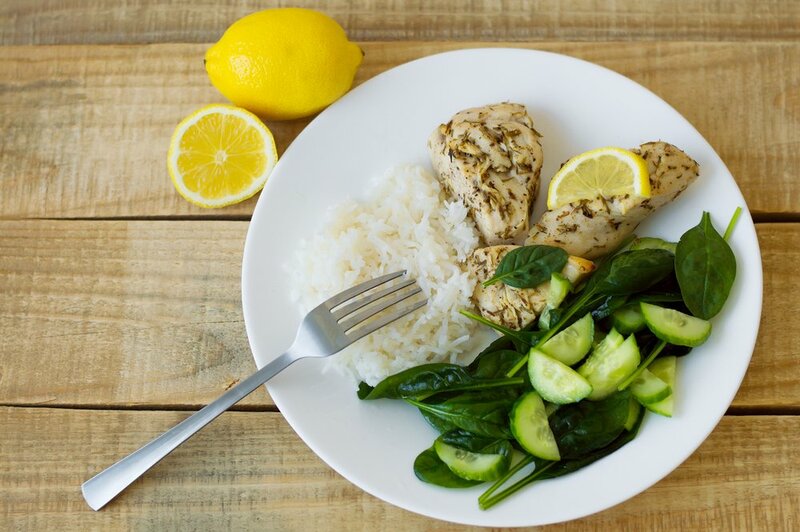 Now is the time to change and discover just how delicious healthy food can be. Fruits and vegetables: Packed with fiber and essential vitamins and minerals. A great tip is to prepare your meal based on the vegetables. Add veggies to your protein, soups, rice, sandwiches, pizza. Pretty much anything works with vegetables. Fruits can make great desserts or snacks too. There are many fruits and veggies to choose from. Make sure to eat a variety of colors as each color includes different vitamins and minerals. Carbohydrates: They provide your body with lots of energy. Good choices include whole grain bread, brown rice, whole-wheat pasta, quinoa, barley, slow cooked oats. Protein: Crucial for your developing baby’s growth. The best sources of protein come from animals but lots of plant-based sources have protein too. You can eat chicken without the skin, cooked dried beans, lean beef or pork, fish, nut butters, eggs or tofu to provide your body with a healthy dose of protein. Fats and sweets: These are okay to use sparingly. Cook using a small amount of oil and only indulge on desserts every so often. Finally remember that eating healthy does not have to be boring! Keep a look out for our delicious and healthy prenatal recipes that will not only take your taste buds for a ride but leave you feeling satisfied. Thanks to the media or even our well-meaning family and friends, we are surrounded by myths regarding health, pregnancy, delivery and childbearing. This make it very hard to discern fact from fiction, especially if you are a first-time mom. Knowing that these myths can place stress on expecting mothers, we gathered some of the most common misconceptions about pregnancy and provide the accurate facts. Myth: During pregnancy, you should eat twice as much. Fact: Although nutrient needs do increase, the total calorie increment is only of 300 calories per day during the second trimester, and 500 calories per day during the third. While caloric intake may vary from woman to woman, you should never eat double the amount you used to eat. 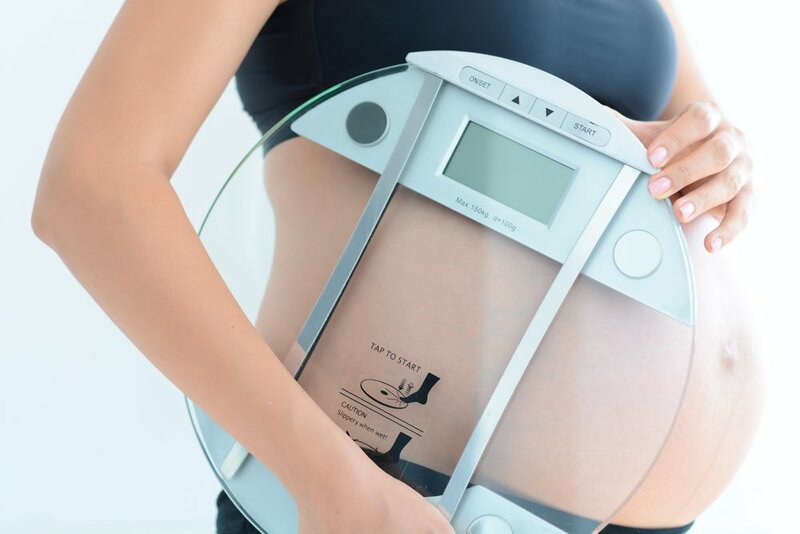 Fact: Excess weight gain during pregnancy can put a strain during delivery. However, not gaining enough weight is very dangerous for the developing baby. During pregnancy, your baby needs lots of energy and nutrients to develop properly. Being pregnant is never a time to diet or lose weight. Myth: If a pregnant woman eats a healthy diet during pregnancy she will be exempt from the discomforts of pregnancy. Fact: Although eating a healthy diet does reduce discomfort and provide the best nutrition for you and your baby, nausea, constipation and heartburn do not discriminate and can happen to even the healthiest woman. Nevertheless, eating healthy, drinking plenty of water and exercising moderately will definitely help diminish those pesky symptoms. Myth: cut out all salt, it will make you swell up. Fact: During pregnancy sodium intakes remain the same. Try to keep it below the recommended 1500 mg a day but remember that some swelling is normal. Sodium is an electrolyte and therefore an essential nutrient. Just be sure to salt your food after you taste it to avoid exceeding the daily recommended amount and try to avoid processed food which tend to be very high in sodium. Myth: You must eat a low-fat diet to avoid gaining fat during pregnancy. Fact: Healthy fats like the ones you find in avocado, olive oil and nuts are excellent sources of unsaturated fats. They provide the body with nutrients and serve as carriers for fat soluble vitamins. Eating fat does not make one fat. Eating excess calories from whatever source (proteins, carbohydrates or fats) results in weight gain and fat storage. But if you eat a balanced diet, no food groups should ever be avoided. Besides, healthy weight gain and fat storage during pregnancy is important for labor and lactation. When it comes to nutrition during pregnancy there is no one magic or special diet. Actually, the same principles that constitute a healthy diet should be maintained and applied to pregnancy. If you do not practice a balanced diet now, it’s never too late to start! To ensure your baby gets all the nutrients she needs, be sure to eat lots of vegetables, fruit, healthy fats, complex carbohydrates and lean protein. Below we’ll provide a breakdown the essential nutrients for pregnancy and the foods that contain them. Folate (folic acid): Folate is part of the vitamin B family. It plays a very big role in preventing birth defects including neural tube defects. Aside from your daily folic acid supplement be sure to include these great sources of folic acid to your diet. Along with eating a balanced diet full of the necessary nutrients it’s important to drink plenty of water and take the prenatal vitamins recommended by your doctor. This will ensure you are receiving the sufficient amount of nutrients to keep you and your baby healthy. With a baby on the way there is no better time to improve your health habits and make the necessary changes to improve your lifestyle. Eating plays a very big role in our lives and, in today’s world, making healthy choices can be hard. Being bombarded by marketing strategies, one can easily be fooled into thinking certain products are healthy when they are actually loaded with fat, sugar and sodium. Although it’s best to avoid packaged food, at certain times it’s the only option. Keep reading and we’ll teach you to become an expert at reading nutrition labels so you can make informed food choices. • Serving size and the servings per container: In this section, you’ll learn the serving size and how many servings are contained within the package. Be sure to always read the amount of servings per package as the nutrition label only reflects the content of one portion. For example, a package of eight cookies might contain two servings and once you multiply the calories, fat or sugar content it might be best to look for a more filling and healthier option. • Calories per serving: In this section, you will find the number of calories per serving. Be mindful of the calories per package, but remember that calories are not the ultimate way to determine if a food is healthy. Nuts or avocados for example, are high in calories but very healthy. 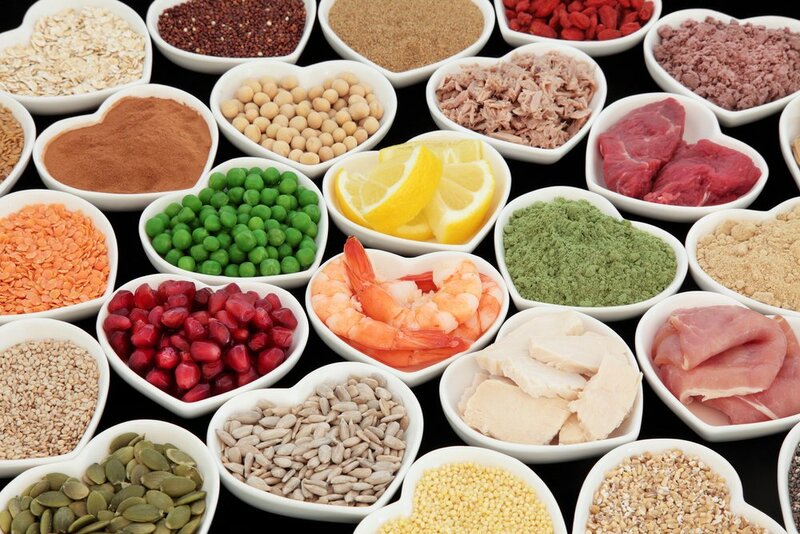 It’s all about portion control and choosing the most nutrient dense options. As a general rule, 40 calories is low, 100 calories is moderate (and a great option for a snack) and 400 calories is high. • Fats: The next section to review is the total fat content and its breakdown. Unsaturated fats found in olive oil or avocado are the healthiest. Saturated fats found in meat or butter are okay to consume in moderation, but steer completely of trans fats as they have been associated with heart disease. • Sugars: Be sure to take a look at the sugar content of the package. According to the American Heart Association, women should not exceed 25 grams (6 teaspoons) of sugar per day. To convert grams to teaspoons simply divide the total amount by 4. This recommendation excludes intrinsic sugars such as those found in fruits and dairy, making it hard to exceed the limit if you don’t buy processed foods. But if you do, keep an eye out for the added sugar. • Fiber: When reading a food label try to choose products high in fiber as they are great at stabilizing blood sugar and delaying the return of hunger after eating. Plus, they are important for gastrointestinal health. • Sodium: Processed foods tend to be high in sodium as this helps keep food fresh for a longer period of time. According to mayor health organizations, sodium is an important mineral to include in our diets but we should try to consume less than 1500 mg of sodium per day, and not exceed more than 2300 mg.
• Vitamins: This section mentions the vitamins and minerals in the product, but beware this can be misleading. 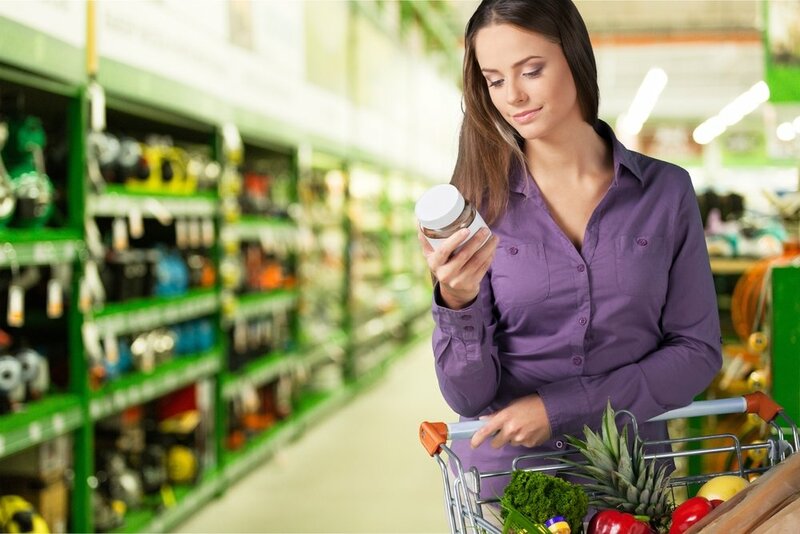 Many companies add vitamins and minerals to products to increase sales, but this does not mean that the food item is healthy. • Ingredients: Usually found below, above or beside the nutrition facts. Here you can read all the ingredients used to prepare the food item. Ingredients are always listed from most to least, meaning that the first ingredient is the most prevalent in the product. The less ingredients the packaged food has the better. These eight key factors are very important when it comes to picking packaged foods, but remember to try to eat less processed foods and more things that don’t come with nutrition labels such as fruit, vegetables and lean protein.